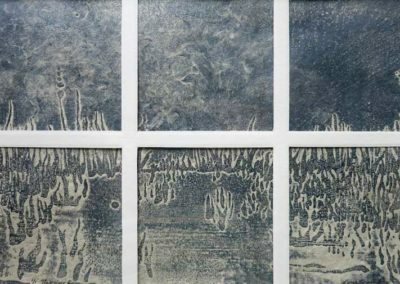 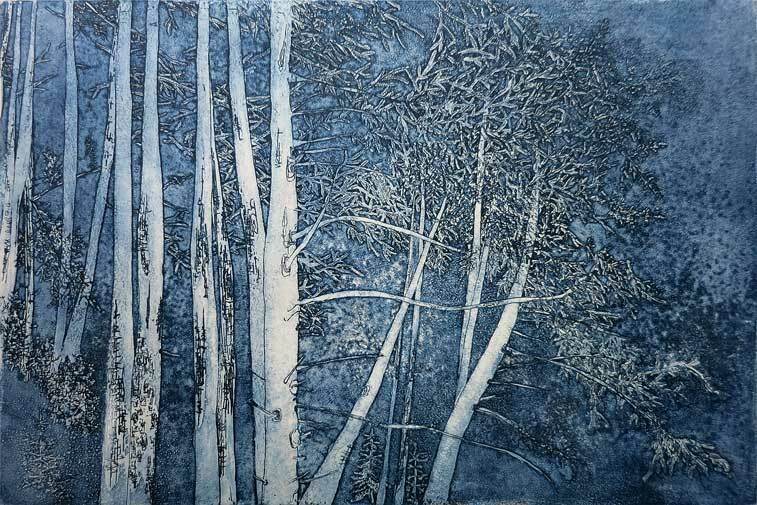 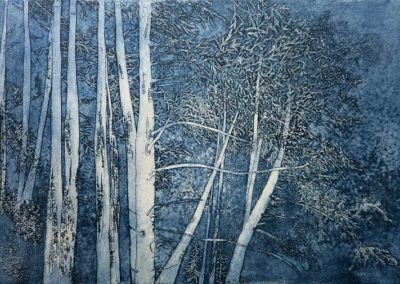 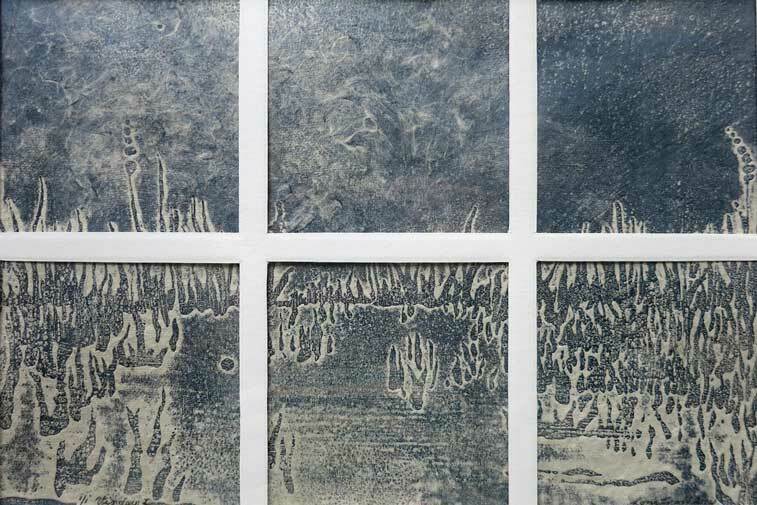 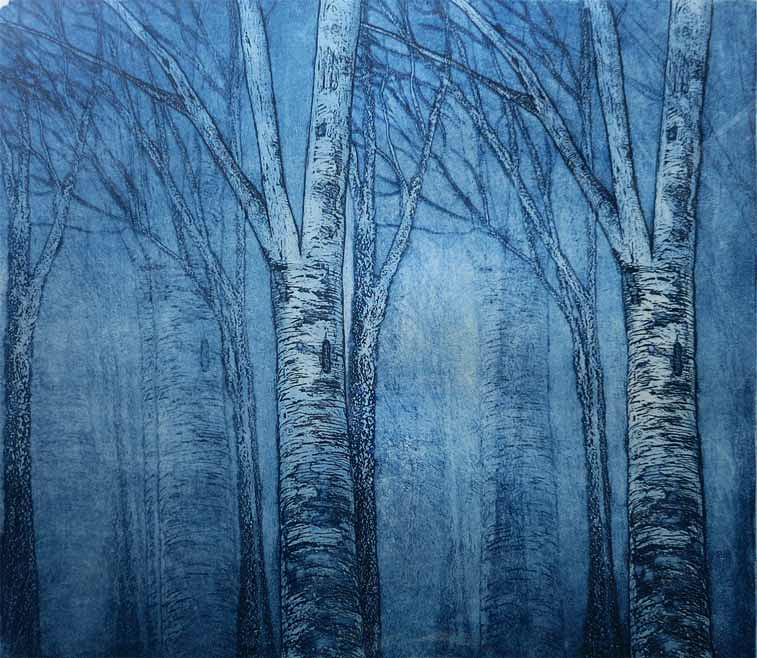 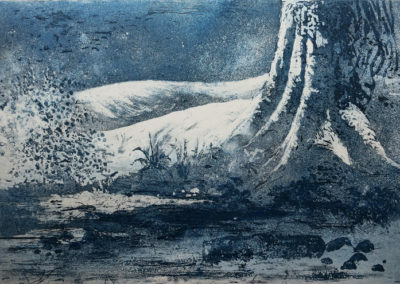 Some of these detailed etchings, created for Lone’s “A Moment in Time” exhibit and rendered in monochromatic blues and greys, are meant to help us capture the beauty of a single moment. 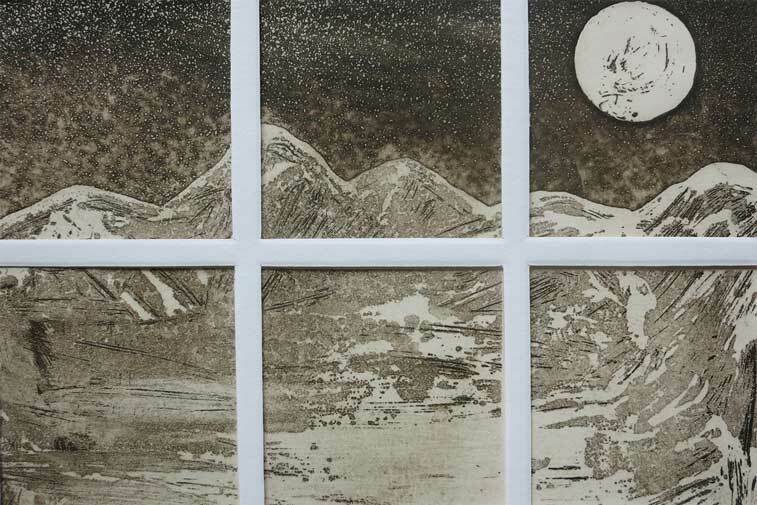 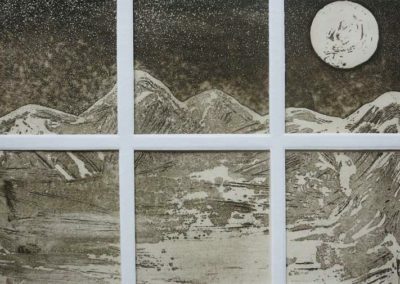 Trees, drenched in moonlight are experienced in two ways: from outside, where we could walk over to touch them and from inside, seen through the bars of a window. 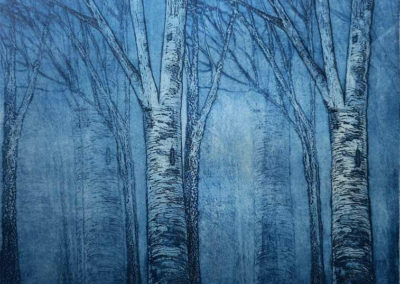 She asks us to take a moment of time to appreciate the beauty around us, wherever we are. 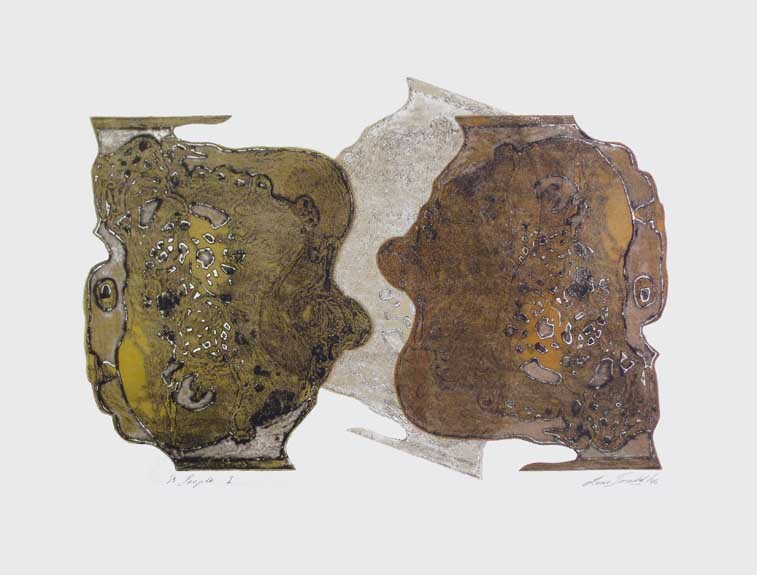 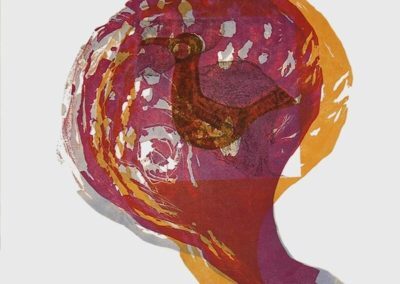 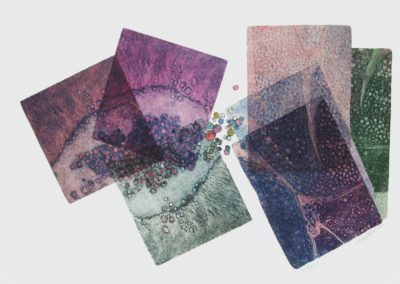 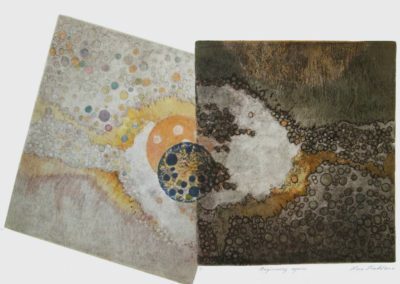 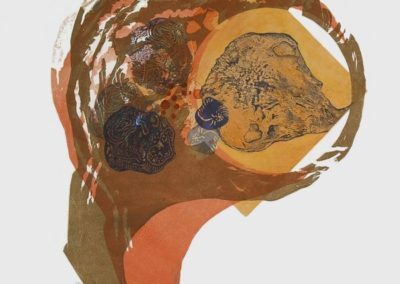 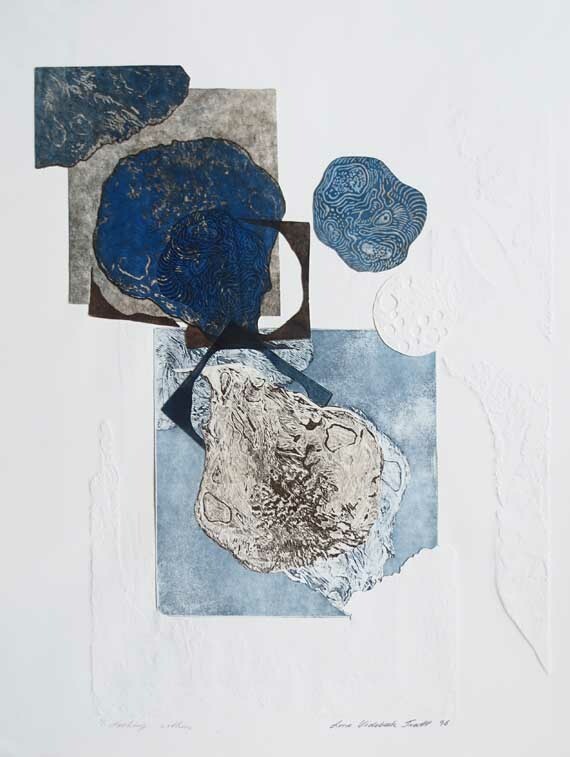 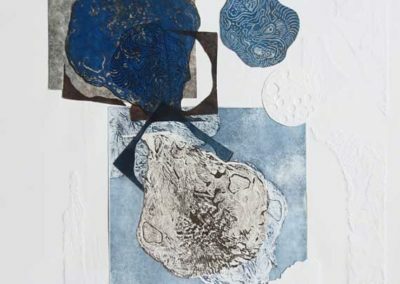 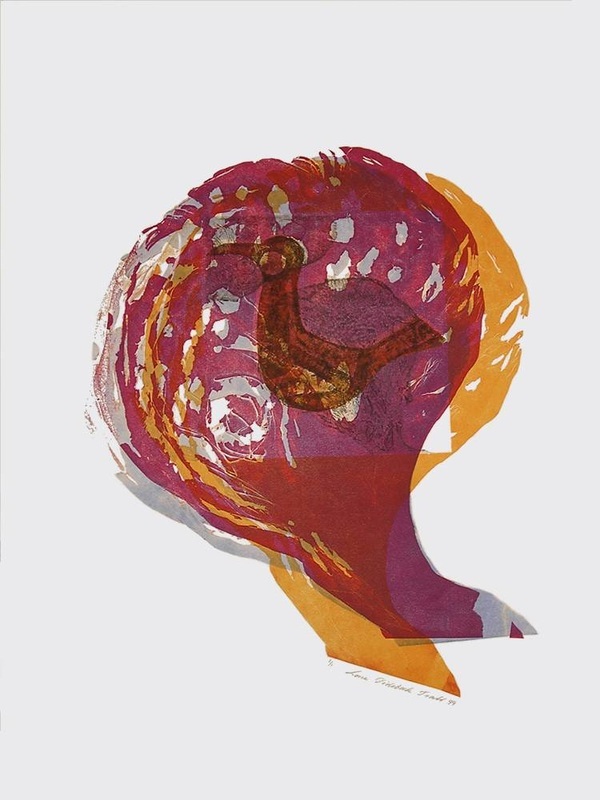 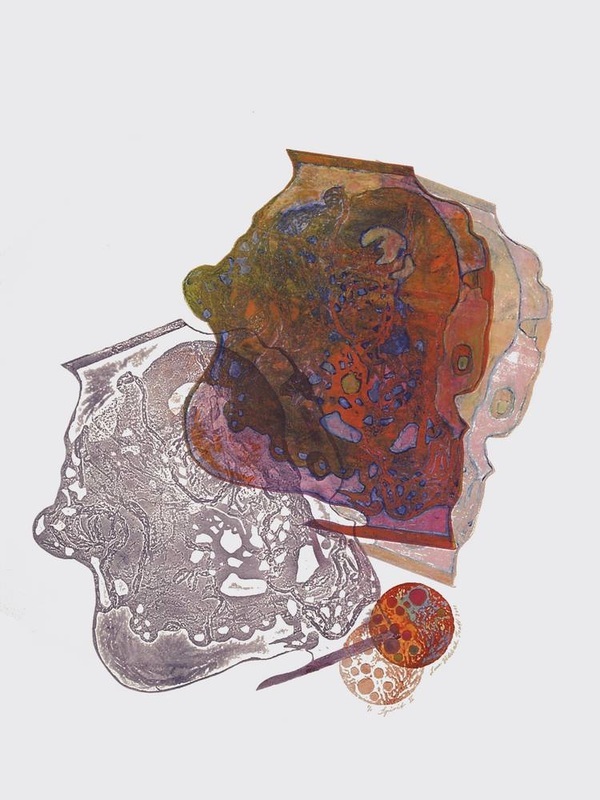 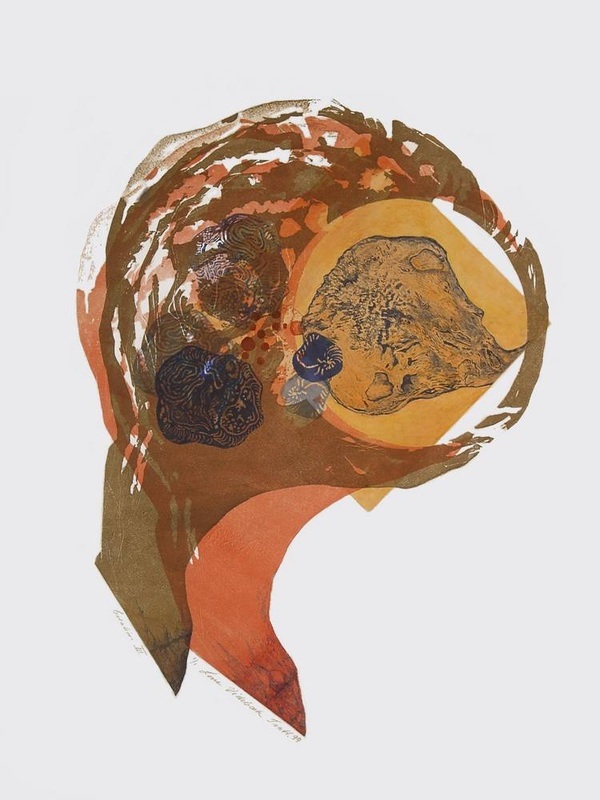 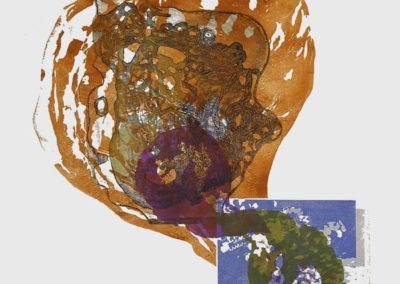 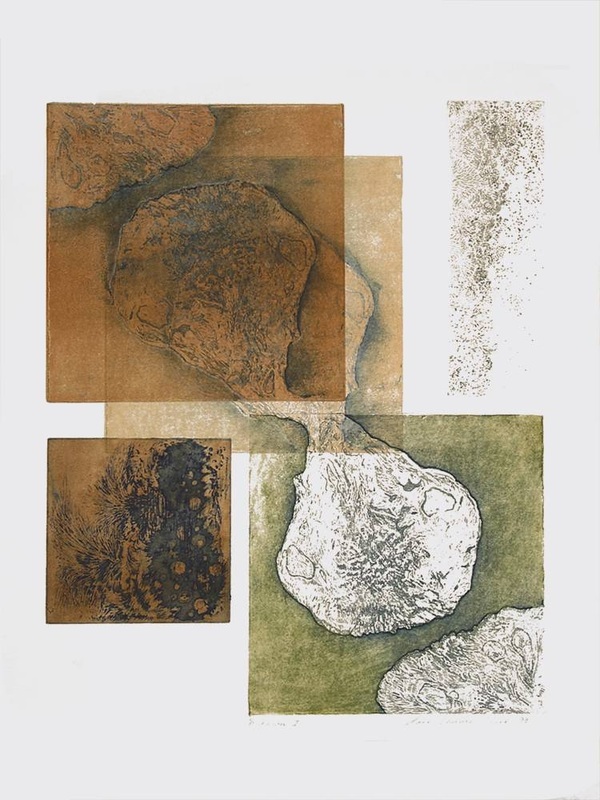 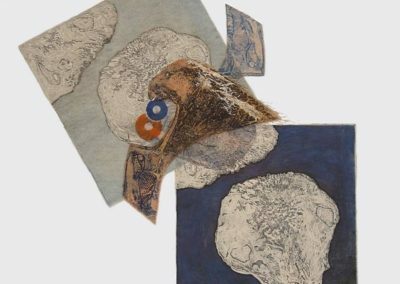 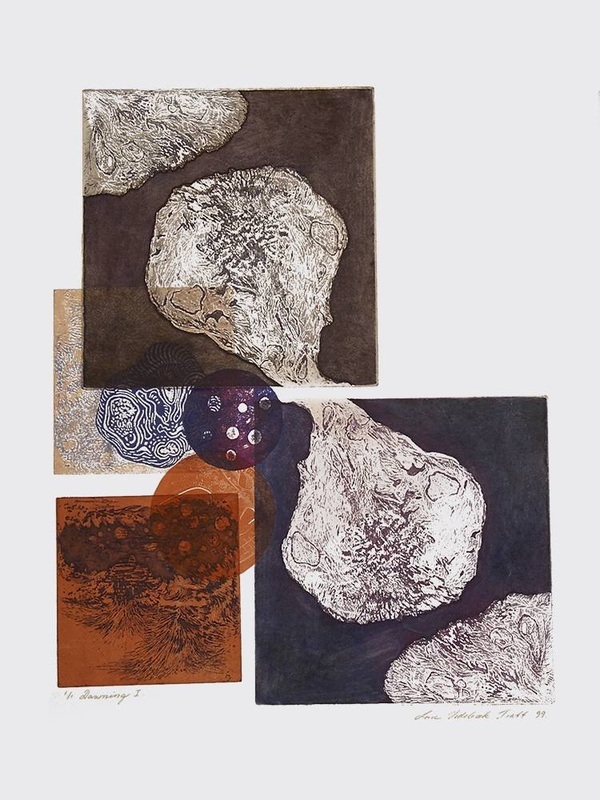 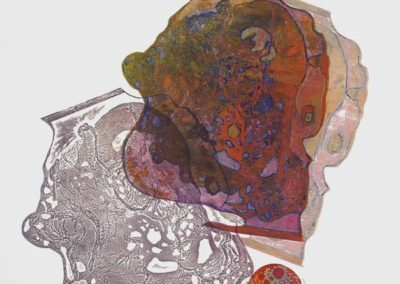 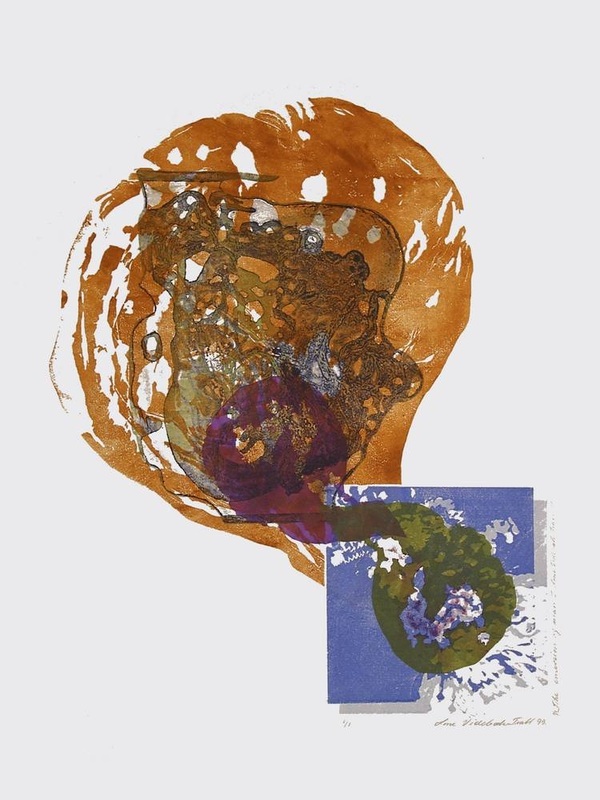 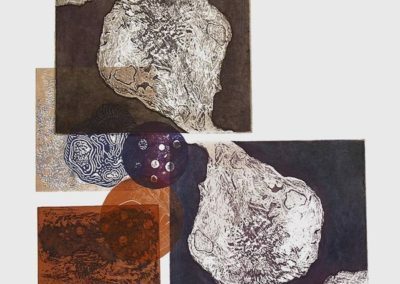 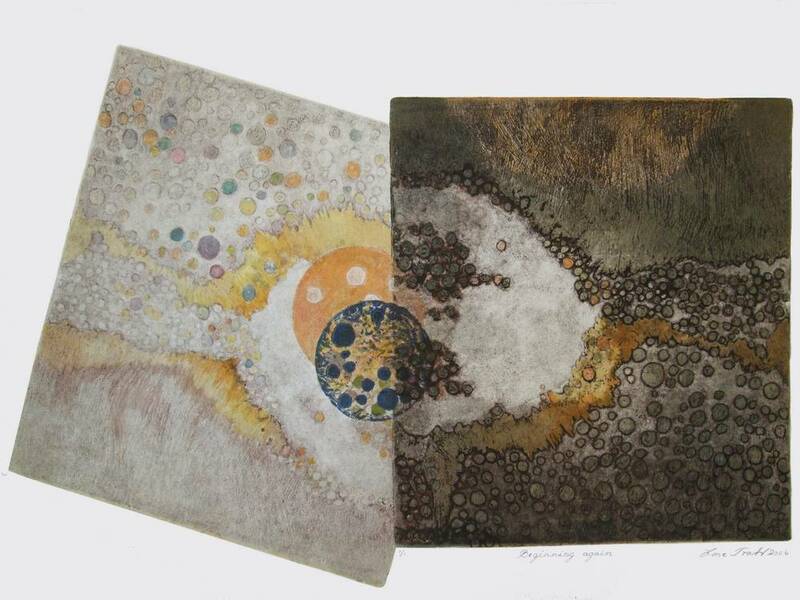 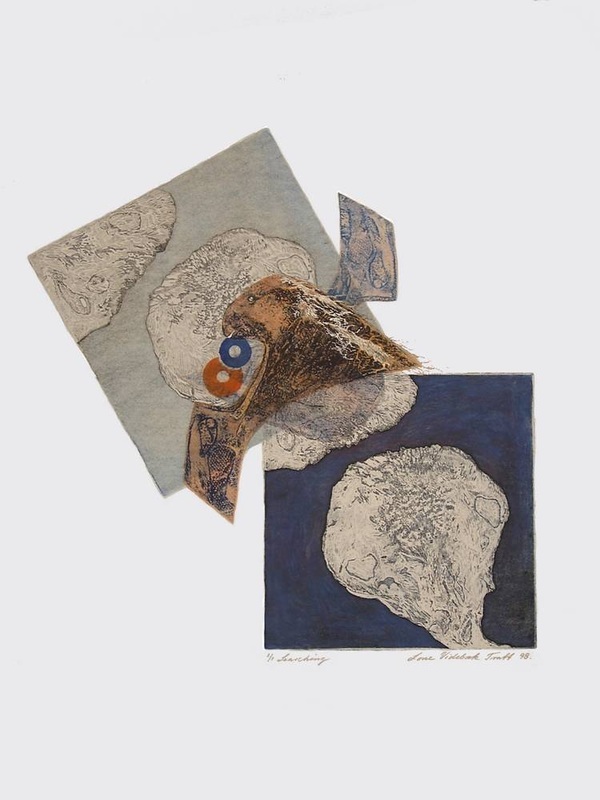 Using positive and negative space, these multi-plate, single edition prints examine the early stages of creation, where cellular shapes morph into more defined structures. 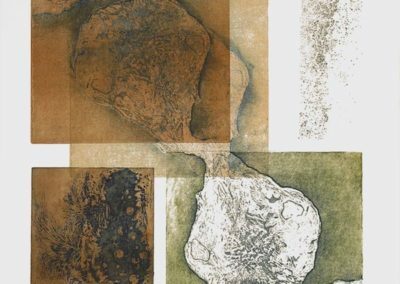 Lone’s palettes range from grounded earth tones to fanciful hues.